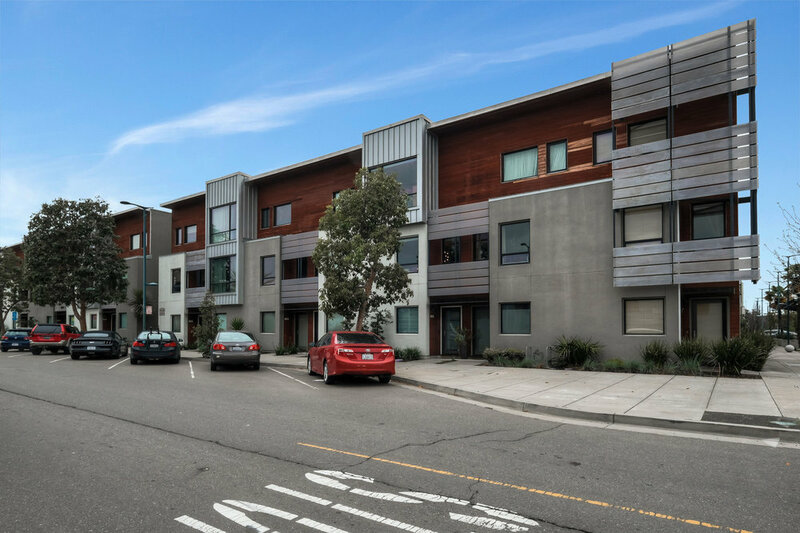 Clean, modern design coexists with natural finishes in this polished, updated 3-story 2 bedroom, 2.5 bath townhome-style condo. 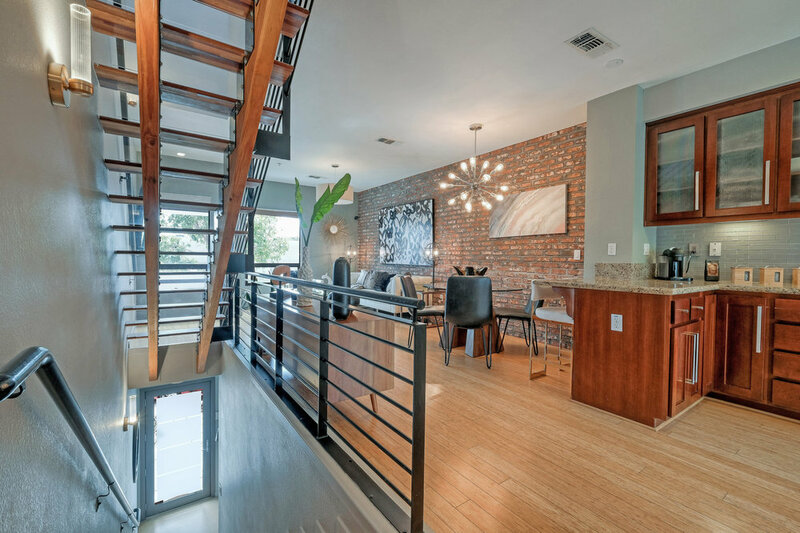 Highly curated details, from the custom hardwood floors and wooden staircase to the sleek new light fixtures and hardware, result in a home that is the epitome of chic, urban living. The gracious open floor plan showcases a stunning, spacious living room with a generous seating area complemented by a custom exposed brick accent wall and large windows. The living room flows seamlessly into a dining area and well-appointed kitchen with access to a private balcony, perfect for barbequing and taking in the sun. Stainless steel appliances, warm wood cabinetry, and granite countertops sparkle against a custom backsplash. A serene, spa-like half bath completes this floor. Up the streamlined wood and metal staircase, the second floor is home to two sun-drenched bedrooms, each with large picture windows and customized closets. In the spacious master bedroom a barn door reveals a luxurious en-suite bath. A pristine full bath serves the second bedroom. At street level, there is an attached 2-car tandem garage with a Chamberlain Smart Control opener, as well as a laundry area with a utility sink and extra storage. The property also includes air conditioning Nest heating system and is ADT/Ring ready. This lovely home is nestled within attractive, thoughtfully landscaped grounds with 2 beautiful gardens for residents to enjoy, and ample street parking for visitors. The location couldn’t be more convenient, with trendy eateries, cafes, and numerous city parks within a few blocks. Ikea, Whole Foods and Target are a 10-minute drive away, as is vibrant downtown Oakland. Highway 880 and BART are also nearby, promising an effortless commute to anywhere in the Bay.